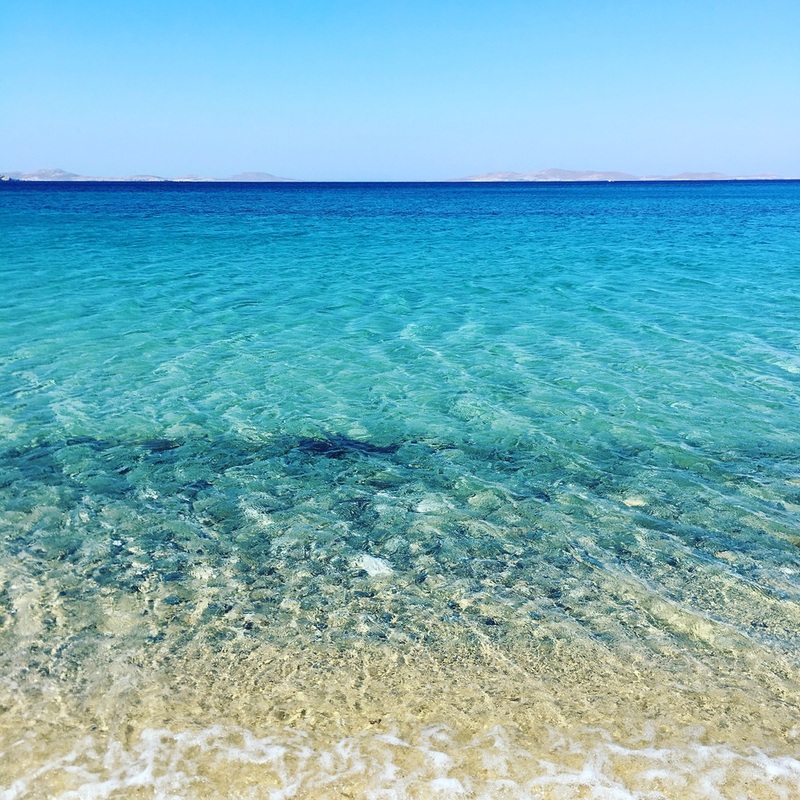 Mum and I had escaped to the Greek island of Mykonos for four days of unadulterated holiday-ing and were basking by the pool on our last day in paradise. She’s fair skinned and stays in the shade. I’m a total sun baby and could sunbathe all day. We’ve always been like that. One in the shade, one in the sun. One enjoys museums, one wants to run up mountains. But for these four days, our only focus was to restore energy to our souls and reduce our daily decisions to a few very important ones. 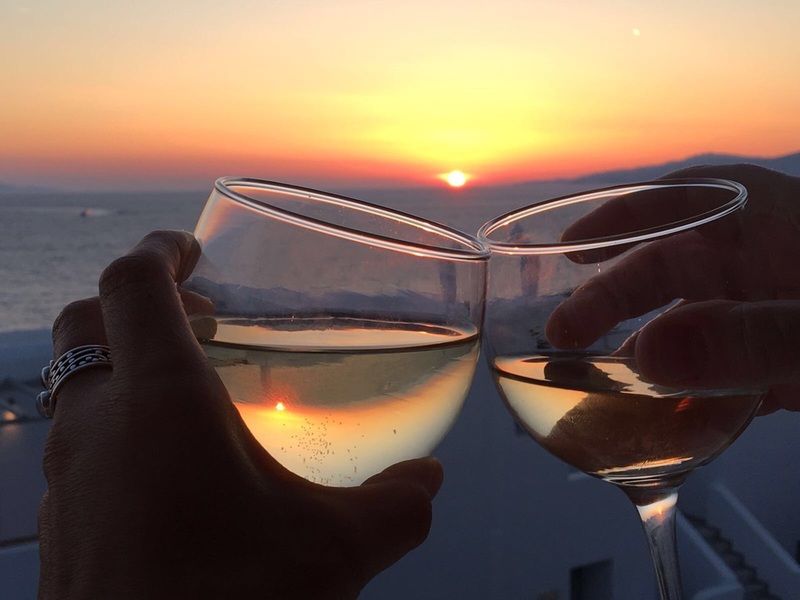 Should we have wine with lunch, whether we go for the Greek salad and have we got enough room for ice cream. Let’s face it, there’s always room for ice cream and we could not get enough of those Greek salads! Mum and daughter time is incredibly special and although we live together, we often pass each other like ships in the night. We talk about practical things a lot; she helps me with business dilemnas and decisions and helps me when I need someone to practise my talks with. But we don’t make enough time just to relax with each other and have fun. We all need time to sit back and let ourselves be. To be gentle to our souls and feed them with whatever they need to restore them to best working order. “Let me take you away” I’d asked her a few weeks before, seeing how stressed she was from the pressures of work and life. She’s a teacher and had May half term coming up. “You can’t afford it and neither can I” she replied. My heart sank. I knew she was right. A few days later I had a plan and begged her to let me book the flights. She agreed. 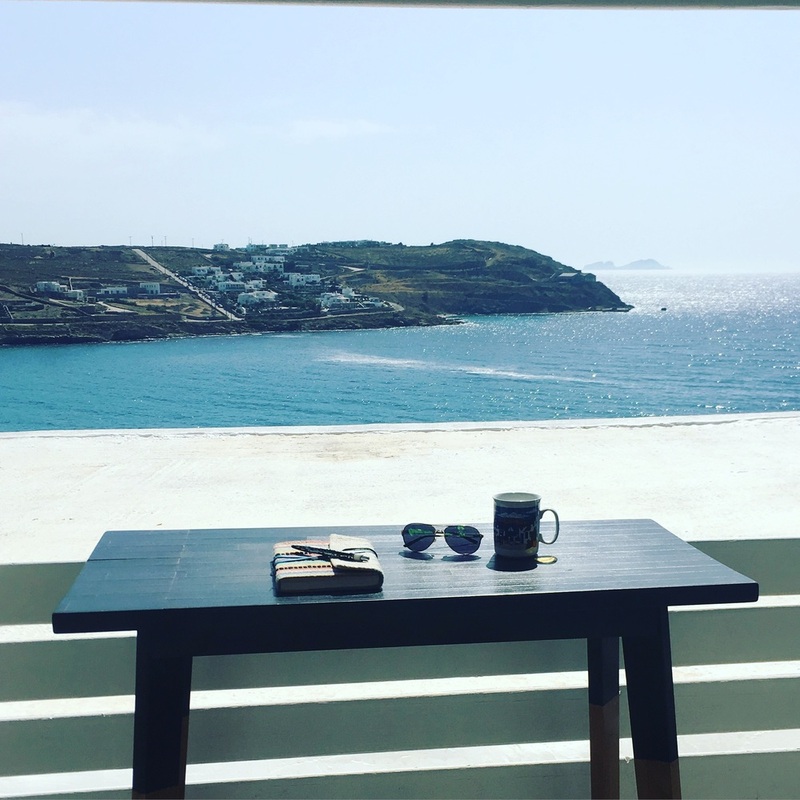 The amazing Porto Mykonos and Pietra E Mare hotels agreed to give us a complimentary stay in exchange for me sharing my experience on my blog. I will be forever grateful for them hosting us. 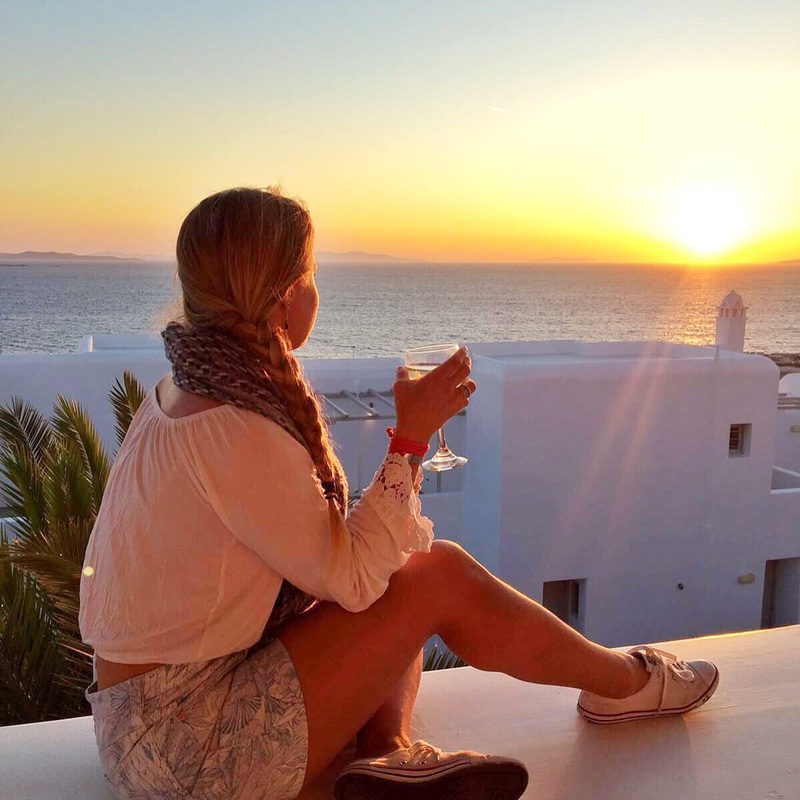 We spent three glorious days at Porto Mykonos, a beautiful hotel nestled into the hillside just above the old town of Mykonos. The first day full day there we did absolutely nothing. We lay by the pool and read our books. We ate feta cheese and tomatoes drizzled in olive oil, and had a glass of white wine at lunch. The next day, I woke up feeling inspired. I went for a run in the sun, up long, winding roads to hilltop villages, along the beach and back to the hotel. 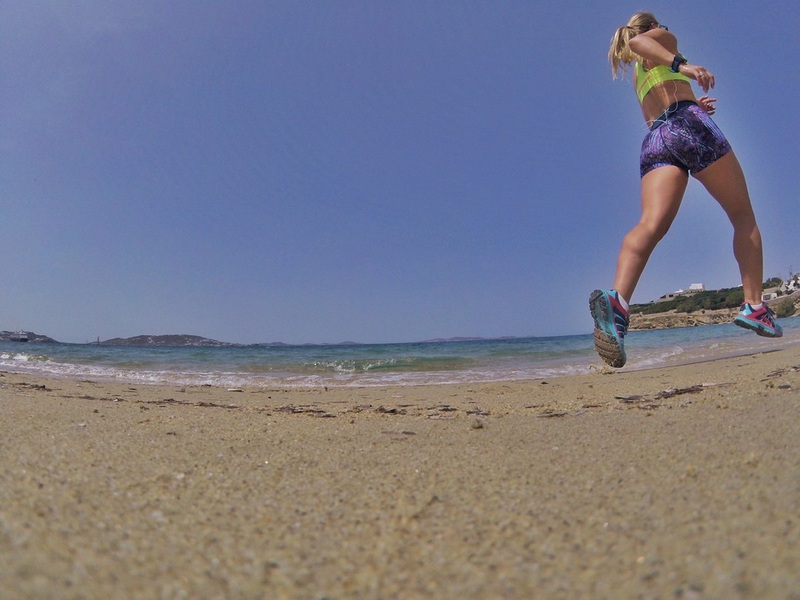 Running is one of my favourite ways to explore a new place so I always pack my running shoes when I travel. Feels good to stay fit on holiday too! I then set to work on planning my TedTalk. I didn’t want to work on this holiday, but the opportunity to speak at TedX Liverpool is really important to me and I felt inspired to work on it, so I let it flow. 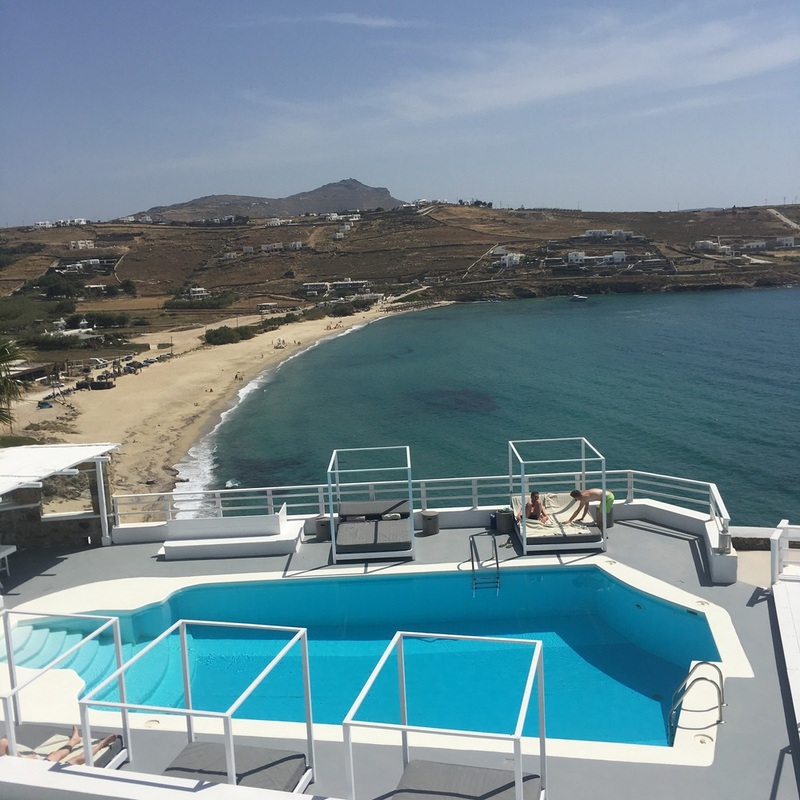 On our final day we transferred to Pietra E Mare, a secluded beach hotel under the same ownership as Porto Mykonos. I’d never seen anything like it. 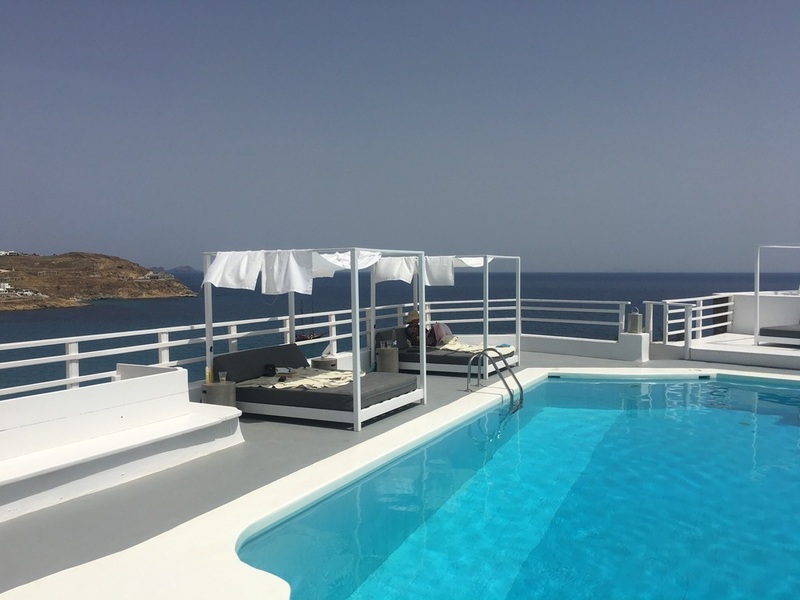 The hotel consists of 30 divine suites all arranged around a swimming pool over looking the sea. There’s a separate area with hammocks and a place to read or write under the shade of the palm trees. A little slice of heaven for 24 hours! The sea glistened so bright below us, and everyone spoke in hushed tones so as not to disturb the peace and tranquility. I found as much shade as I could for Mum and set myself up in the sun. I moved between the pool, the loungers, the pool and then the sea. We ordered lunch from a button on the side of the lounger. We felt like Greek Goddesses. As we tucked into our final Greek salad, I looked at Mum and saw in her eyes what I felt in myself. I knew this had been one of the best decisions ever. Her happiness and wellbeing is the most important thing in the world to me and I would go to the end of the world to help her achieve it, just as she has done for me my entire life. 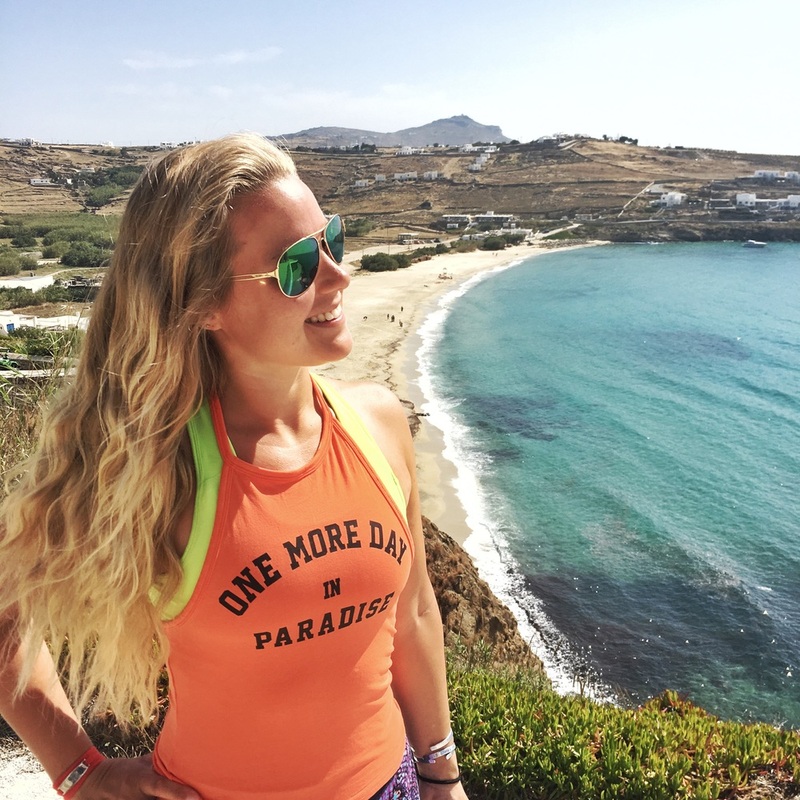 There’s something very special about the people in Greece. They really care. There’s customer service and then there’s the way they make you feel in Greece. They make you feel like it’s their biggest honour to help your day become that little bit more amazing. When you say thank you, a smile spreads across their whole face, they put a hand on their heart and thank you right back. 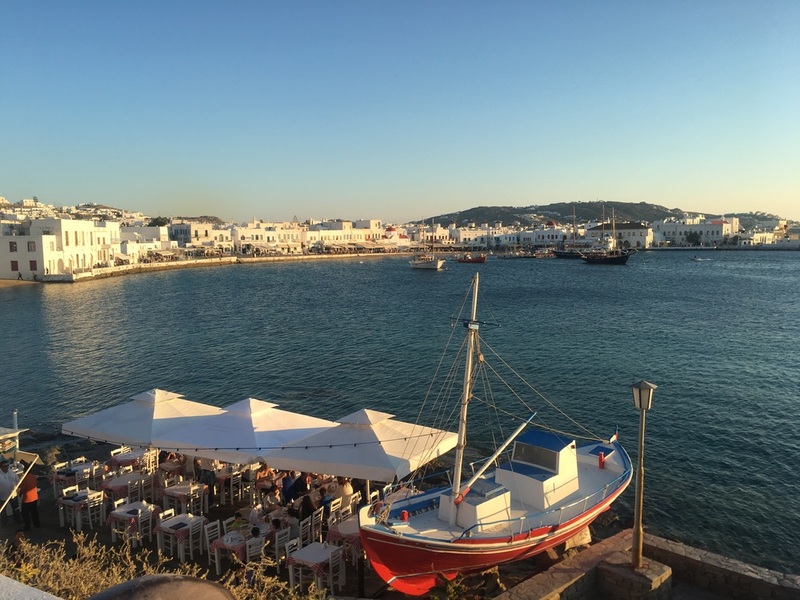 Thank you Greece, Mum and especially the incredible staff at Pietra e Mare and Porto Mykonos. Mallorca: Possibly the best cycling destination on the planet! How to Prioritise Self-Care + Happiness. Do less, achieve more!